Chelsie is a graphic designer with a passion for photography, a love for people, and an obsession with all things Harry Potter. She lives with her husband Cody, and two happy sugar gliders, Luna and Lulu. Devan is a native Ohioan, but is newer to Cincinnati. She works at UC and has a background in social psychology, which has driven her passion for social justice. She enjoys the outdoors, billiards, and meaningful conversation. She believes in the powerful saying "lift as you climb" and aims to live it every day. Kelsey is a Cincinnati transplant quickly falling in love with everything about the Queen City. She's a magazine editor, cat mom, concertgoer, and bookworm with a passion for tacos and feminism. Myra is a museum educator and writer. She loves exploring this city’s rich history and creating educational experiences that bridge the past and the present. When she’s not hanging out in a museum, she’s probably watching old movies or hiking in the woods. Sandra is a University of Central Florida human communication graduate. After a decade in Florida, she relocated to the Queen City to explore the realm of life’s possibilities. She is a creative at heart with a passion to help those around her and generations to come. Gina has called Cincinnati home ever since she graduated from Xavier University with a B.A. in history. She is an enthusiastic college basketball fan (Go X!) and loves traveling and learning about other cultures (once upon a time, she even knew how to speak Spanish). She is the development manager for the Corporation for Findlay Market, and lives with her husband and dog in their newly rehabbed historic home in OTR. You can find Gina paying late fees at the library, hunting for the best baked goods in town, or trying to convince herself that she likes running. Kali is a graphic designer who was born and raised in Columbus, Ohio. She came to Cincinnati seven years ago to attend UC, fell in love, and never left. Kali and her husband live in Northside with their two kitties, Big Mama and Lil' Mama. Alex is a photographer who runs Larrison Photography with her husband, Corey, and their two cats. Alex is passionate about reading, reality cooking shows, and flowers. 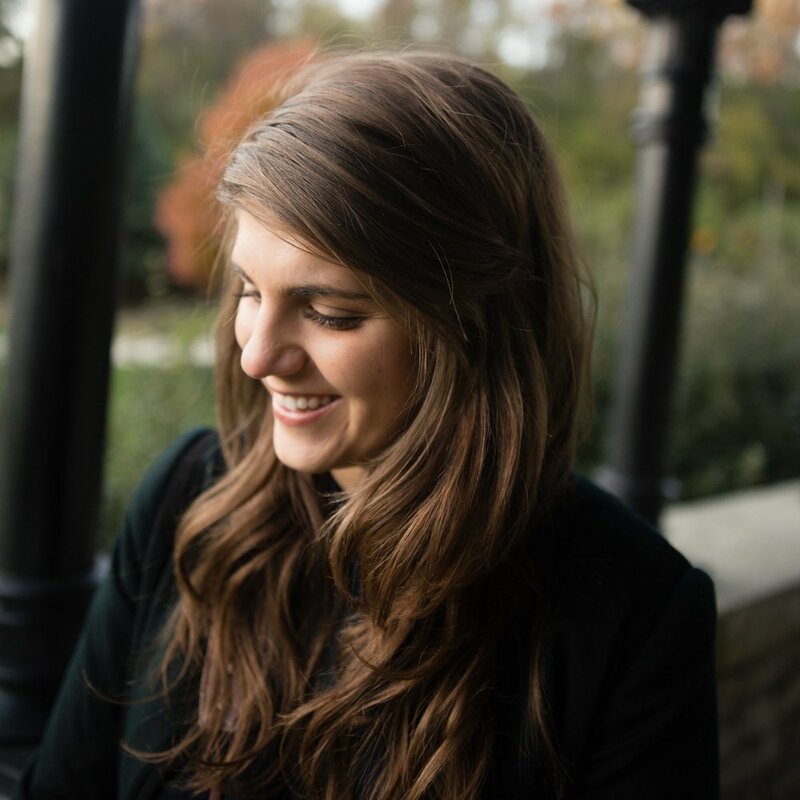 She is determined to create enduring, authentic, and spirited photography and videography in Cincinnati. 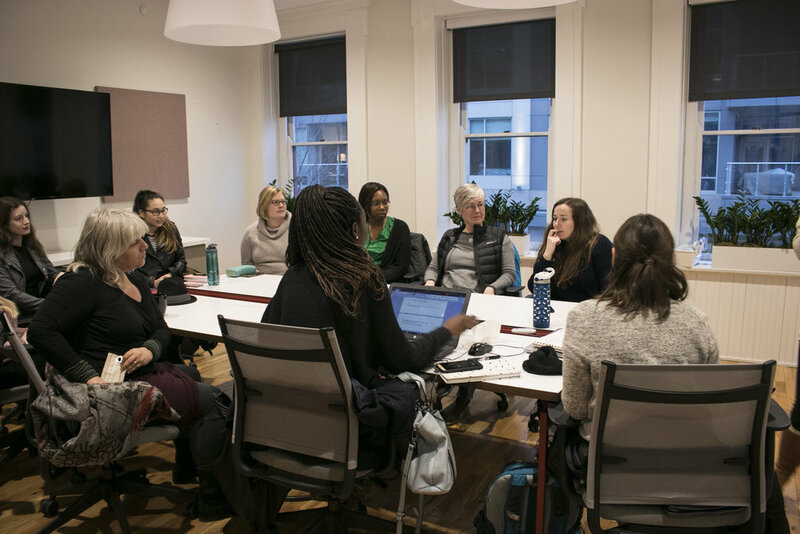 Stacy is a change maker focused on healthier, more equitable and sustainable communities. She’s a master campfire starter and marshmallow roaster who loves to use her camera to tell stories. Aurore is a program director at People’s Liberty and believes in giving self-starters a chance to turn their ideas into reality. She lives for experience and travel, loves photography, follows the art world, and boxes at a local gym. Teri is an open mind looking for the open road. She believes that lessons in living start with the stories that surround us. So, with curiosity on her sleeve, she roams both coasts of the Ohio River, experiencing lifestyle whiplash and living to write about it. Tracy moved to Cincinnati in order to pursue a Ph.D. in philosophy at UC. She has successfully completed her Ph.D. studies and is now an adjunct professor at UC. She enjoys spending time with her husband, friends, and family; meeting people and hearing their stories; and weekend mornings spent listening to records and reading. Heather Willins is a dedicated educator within Cincinnati Public Schools. 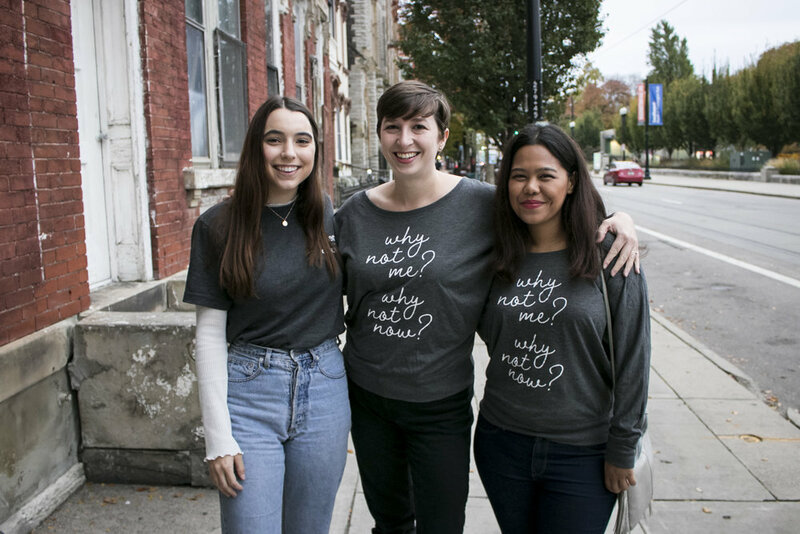 When she is not helping students to expand their worlds, she is working for Women of Cincy to spread the good word about female empowerment through photography and social media. When she’s not teaching or on the move, she enjoys learning foreign languages (Spanish and German, currently), embroidery and most of all, travel. Her husband Micah, two pets, friends, and family give her the strength she needs to keep calm and carry on. Angie is a UC DAAP grad and Cincinnati native who decided fixer-uppers, rescue dogs, and hopeless optimism were a solid plan. Her first love was illustration, but she once traded her graphite for cameras and never looked back. She lives in a house-in-progress with her guitar-slinging husband, three busy kids, and two pups. Judy is a marketing strategist, pharmacist, and recovering Diet Coke addict. She is passionate about empowering and supporting women in business, politics, and the media. As the chauffeur for two teenagers, she is thankful for podcasts and audiobooks. Courtney is a change making, feminist, single mama working for equitable communities in the great Queen City. 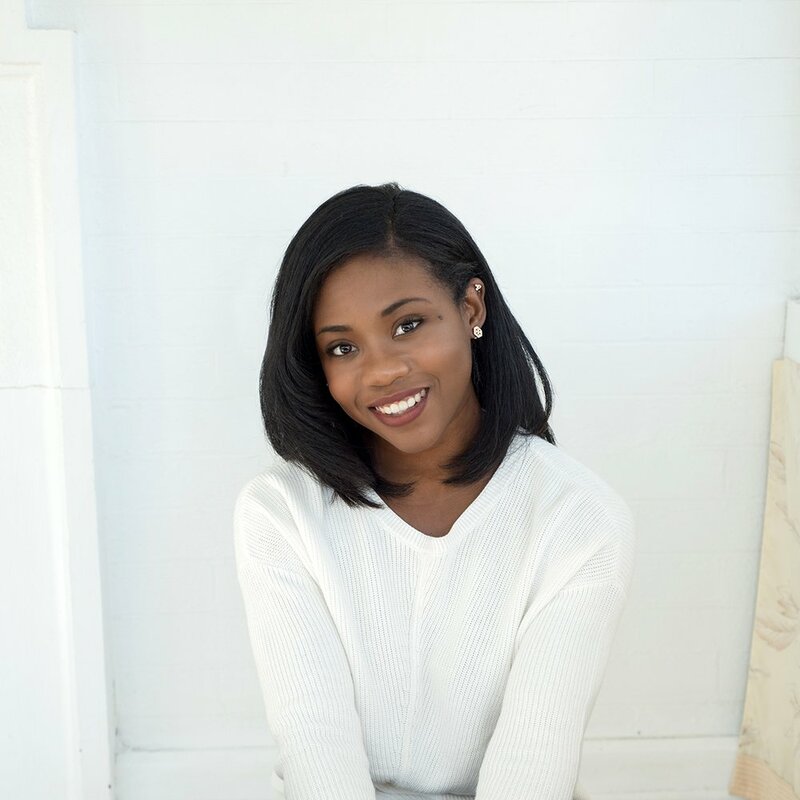 A traveler since birth, born in the rolling hills of central Kentucky, reared in the Virgin Islands, and settling in the Cincinnati area, place is an important part of her work – both creatively and academically as she pursues her doctorate. She’s an LGBTQ+ advocate and ally, working with The Living with Change Foundation and within her own community. With a reporter’s roots established early on in her career, telling the full story is her passion. Aparna is an adventurer, a foodie, and a creative soul. She is currently a graduate student in the Department of Women's Studies at UC. Originally from Nepal, she enjoys photography, hiking, and playing music. She is passionate about women's issues and believes in the power of activism. During her free time, she loves visiting art museums and immersing in world culture. Caroline is a Queen City native and Ohio University alumna. A writer, editor, defender of the Oxford comma, and now a member of Women of Cincy, she has covered topics ranging from local events and businesses to engineering and home design. If she’s ever not writing, you can find her on Twitter as @TheWiita, where she shares her love for baby Fiona and her opinionated film/television reviews. Aidin is a freelance graphic designer and artist who explores form and patterns through his boldly colored, thought-provoking paintings. He was born in Iran, grew up in Montreal, and has been a Cincinnatian for over two decades. Aidin believes in being your genuine self and celebrating what makes each of us different and awesome. He is a trilingual, biking enthusiast who has a passion for design, new experiences, and traveling with his incredible wife, Tricia. He is excited to join this amazing team and celebrate all the great women of Cincy! Katey is a passionate pen[wo]man, aspiring author, lifelong learner, witty wine enthusiast, and creative mind and soul. After two years of teaching elementary education, Katey decided to leave the field and pursue a new career path. 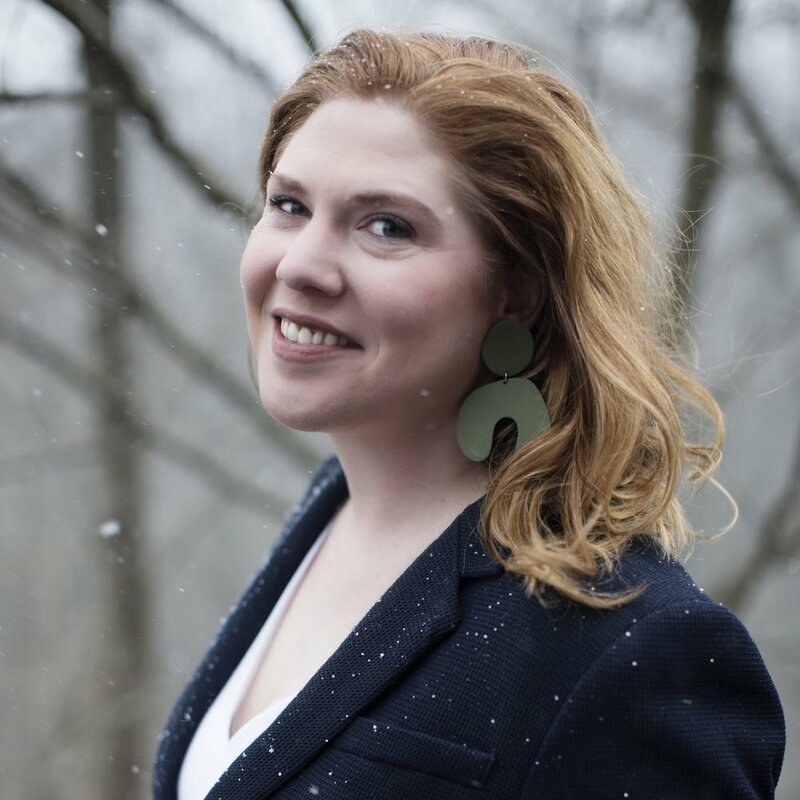 She has since gone back to school to receive her MFA in creative writing from Miami University with a specific interest in creative nonfiction, historical fiction, and children’s literature. When Katey’s not writing, she’s dreaming of becoming a professional student and world traveler, drinking wine, or bouncing around the city with the love of her life and her furry pup, Gus. Follow her new venture of reviewing book and wine pairings on Instagram as @spines_and_vines. Danniah Daher is a writer and graduate student with a passion for words, editing, and content creation. When she's not reading or writing or eating french fries, she's snuggling with her Goldendoodle, Lulu, or stalking J.K. Rowling on Twitter. Hillary is a writer and editor, and founder of Make America Read, an initiative to encourage reading to develop compassion, critical thinking, and civil discourse. The mother of two sons, her life can be summed up in three words: books, boys, and baseball. Suzanne is a full-time people-manager by day and blogger by night. She lived in Winchester, Virginia, and Chicago before boomeranging back to her hometown of Loveland, Ohio, where she currently raises two boys. 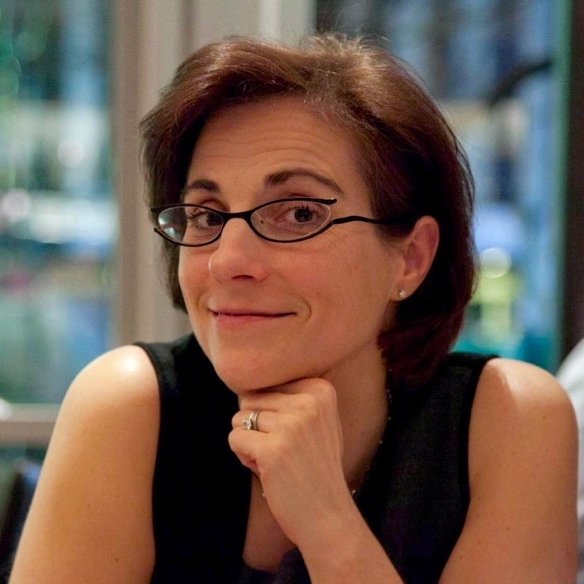 She writes about modern adulthood, parenting, and more at The Smart Domestic and on Twitter @thewildertweets. 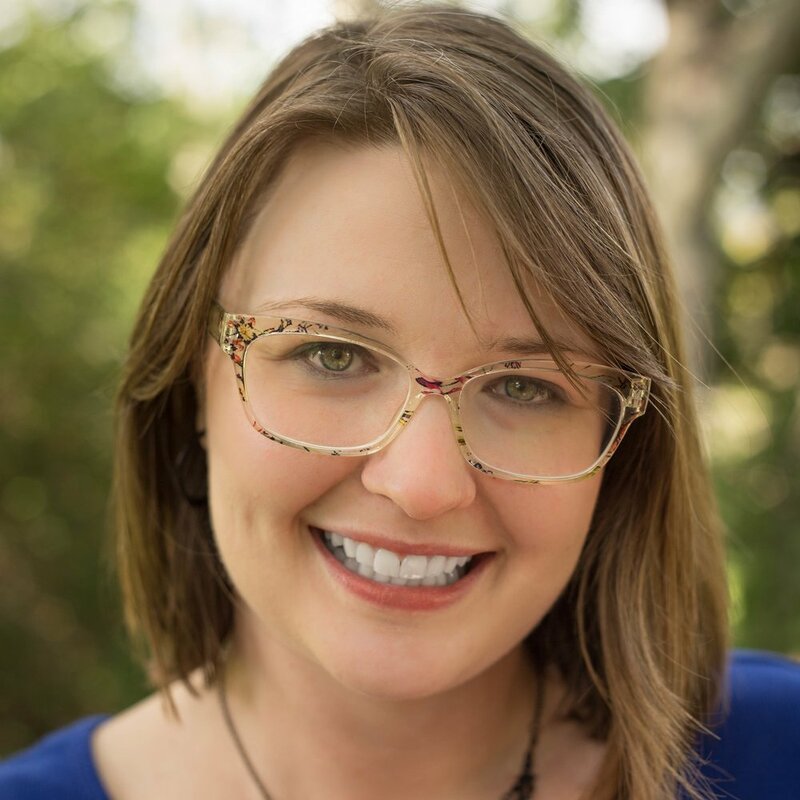 Katie is a full-time writer, editor, and multi-passionate entrepreneur. When she's not writing, running two network marketing businesses, or tweeting @katiemgravely, she's spending time with her husband or dancing down supermarket aisles while grocery shopping. Kristyn is a Minneapolis native who moved to Cincinnati after receiving her English literature degree from Knox College. She's a new mom with a passion for good food, deep conversation, and anything that feeds the soul. Liz is currently a master's student and graduate assistant at Xavier University. Originally from Pittsburgh, Liz has fallen in love with the Queen City since moving here in 2014. When she's not at school, she's checking out local music, learning about the city's architecture, and hiking with her dog in the beautiful parks. Abbey is a recovering HR professional and a recent Cincy transplant. She craves creative stimulation and opportunities to nurture her entrepreneurial spirit and that of others. Abbey, her husband, and her soon-to-be teenage daughter love adventures outdoors and exploring everything their new city has to offer. 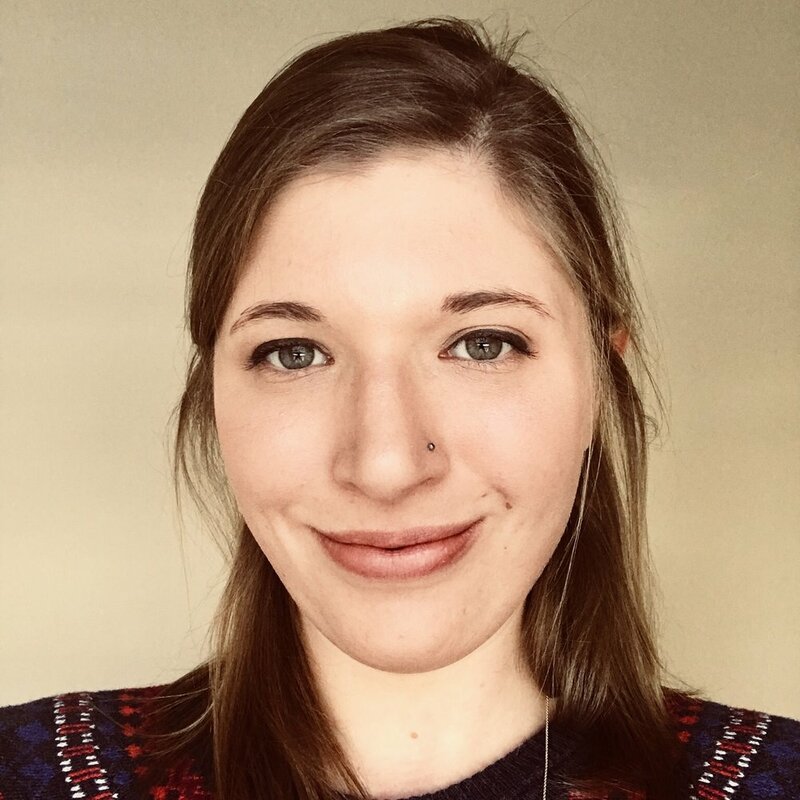 Becca is a dot-connector, what-if’er, and passionate (out-of-control) Spotify-playlist-maker. She moved back to Cincinnati in 2015 after working at the Ohio Senate in Columbus, and finds herself continuously inspired by the kinetic energy of the Queen City and its people. Fueled by daily doses of chocolate, podcasts, and travel photography (usually in that order), she is in constant pursuit of examining life through new lenses and the power storytelling has in helping us do it. Hope is an art historian, theatre nerd, and mother of cats. 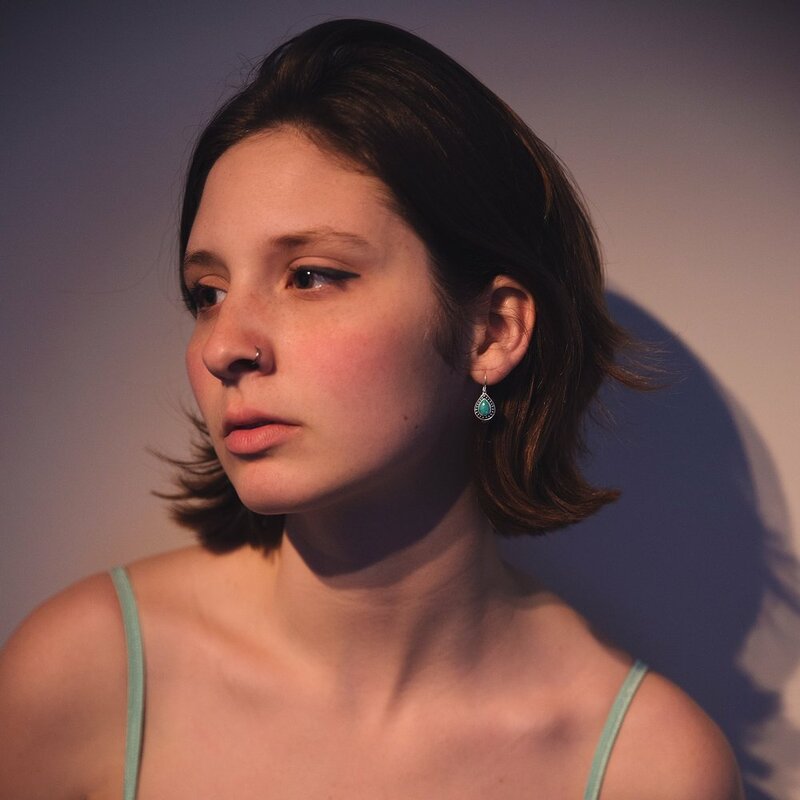 In her research and writing, she explores feminism and body politics in film, theatre, and other artistic media. Off-duty, you can usually find her reading, taking a long walk through Clifton, or tending to her plants. Kyle is is a downtown resident and a member of OTR's Union Hall coworking community. Her passion for Cincinnati runs deep, expressed even in the name of her company, Midwest Roots. She’s obsessed with podcasts that tell stories, trips to the ocean, Red Bikes, walking grocery aisles, Cincy history, and all things Pilates. 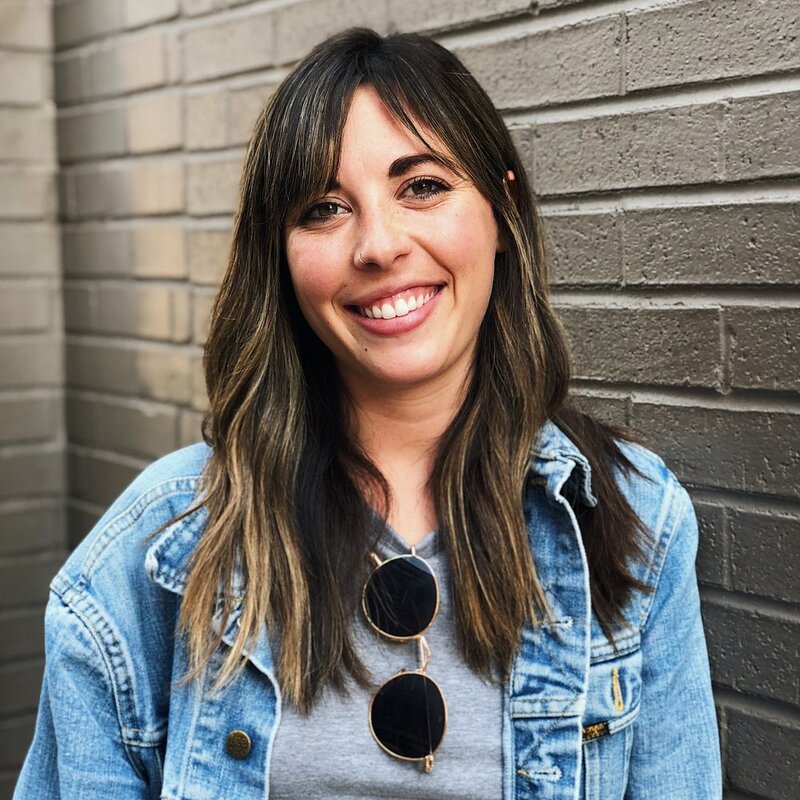 Kayla is a freelance writer for multiple publications, including Bustle, INSIDER, and Men's Health, where she writes about topics ranging from the newest marathon-worthy Netflix shows to beauty trends to the keto diet. She's also a (permanently over-caffeinated) barista, wannabe “Chopped” contestant, and fiancée to her love of seven years. A few of her favorite things to support are women, local business, and an overindulgent skincare regimen. Dawn is a photographer who loves her family, shoes, and good cup of coffee. She has a passion for travel and experiencing culture and seeing the honest and sometimes raw side of humanity. She shares a small photography business, Fresh Start Photo, with her husband and when she’s not shooting, she’s working as a senior support specialist solving problems and writing code. Sarah is a Cincinnati-based writer with an avid desire to learn every human story within arm’s reach. Her experience in empathic research and freelance journalism make in-depth conversations easy and naturally put small talk under the radar. She also enjoys running, her dogs, “Bob’s Burgers,” saving the planet with her reusable coffee cup, and true crime podcasts. 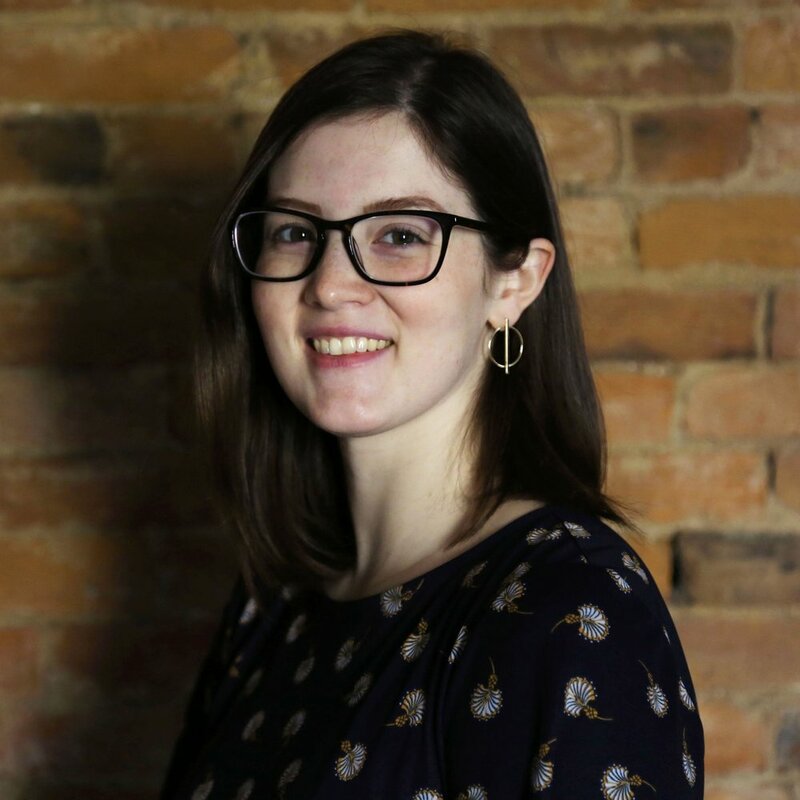 Madeleine is a St. Louis native who is passionate about language and the arts. Since living in Cincinnati, she's joined poetry, painting, and acting classes to help shake off the day job. Madeleine finds most of her writing inspiration at the local coffee shop. Favorite city? Prague. Favorite weather? Overcast. Currently craving? Doughnuts. Ideal Saturday night? Dinner party, with a record player. Exciting new life event? Joining this team. Anna-Marie is an avid tea drinker and a Type A organization guru with a passion for making a difference in healthcare. As a project manager, communication and developing flow charts are akin to breathing. 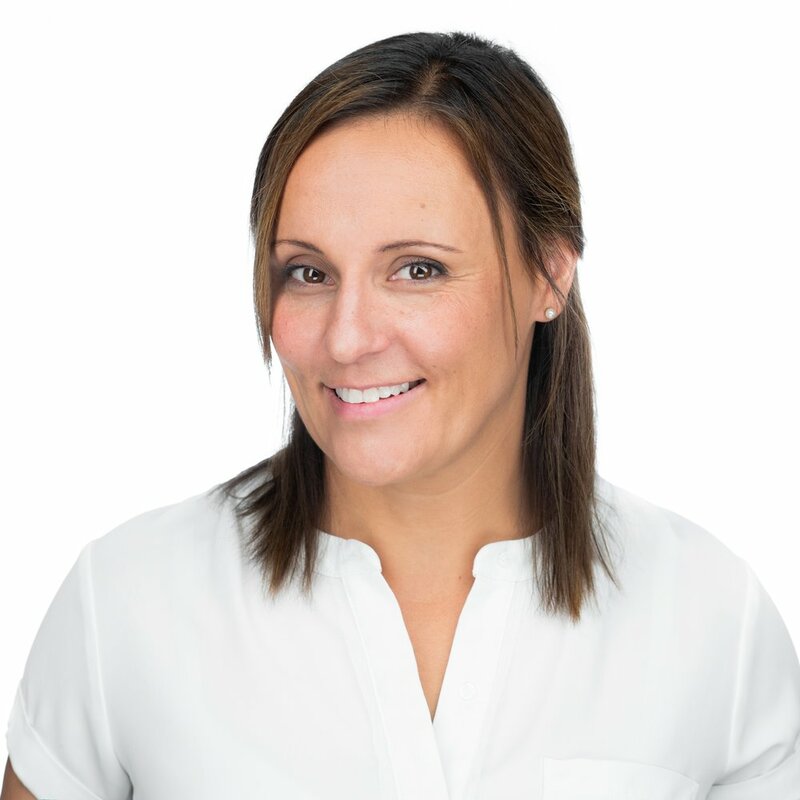 In her spare time, you’ll find Anna-Marie in her element researching healthcare best practice journals, checking out the latest coffee shops around town, and walking (okay, being walked by) with her Dalmatian puppy, Piper. Blaire M. H. Bartish has only lived in major metropolitan areas that start with “C”: Chicago, Cleveland, Columbus, back to Chicago, and now Cincinnati. She lives on the West Side with her husband, Dave, and their son, Louie. A lifelong learner, she has been involved in numerous educational endeavors and loves reading, attending live theater, visiting museums, and freezing things with liquid nitrogen. Moriah is an emotional storyteller with a thirst for knowledge and adventure. Great books, strong coffee, and passionate conversation that changes hearts and minds are her love languages. Having spent the past six years traveling and discovering her love of photography, she settled back in the Queen City where her roots could grow deeper. Her devotion is to creating imagery that elicits deep emotion and connection, while fostering the idea that peace begins with empathy. Dani is equal parts writer, hot beverages, and blanket-like clothing. She is a big believer that storytelling is primarily about the art of noticing. And most importantly, her life’s blood is asking people questions with a general, unbridled interest in their answers. Nicole is a local photographer and true "people watcher.” A native Cincinnatian and UC alum, Nicole is the mother of two boys, ages 7 and 8, and cat mom to Ava. She loves helping and supporting women entrepreneurs. Girls rock! Ellen is an opinionated morning person and a recent UC grad. Originally from Columbus, she loves exploring Cincinnati, making playlists on Spotify, and cooking vegetarian-friendly dinners. Lifelong Cincinnati native Shamekko is a self-proclaimed marketing geek and a two-time graduate of UC. During the day, she utilizes her degrees as a project manager, and by night she’s a superhero of sorts, supporting fellow entrepreneurs through her two companies SNE, LLC and DVRS Stock. When she’s not volunteering or working, she loves spending quality time with her husband and exploring local coffee shops. As an adventurer with words to write down, Abby enjoys finding creative outlets wherever she stands. Cincinnati started as a place of education and soul searching for her five years ago, and the city still fuels her passions. She hopes that all of her furiously scribbled down thoughts will help in documenting the women she so admires in and around the city. Noticing all of the quiet beautiful things has taught her how to love the world in her own way and she has an open heart to hear how others have paved their own paths. Tiffany is a Cincinnati native and a senior documentation analyst for a health insurance company. She specializes in all things tech. She recently completed her technology management masters at Georgetown University. When she is not reading about the latest tech and design trends, she is chasing after her young son and experimenting with new recipes, courtesy of Pinterest. Jackie is a writer and journalist from Dayton, Ohio. Outside of her 9-5, she can be seen attempting to run, serving her communities, or screaming along to music in her car. Cassidy is a Los Angeles native who just recently took her photography business full time. She loves health, sports, spending time outside, painting, and writing poetry. She is eager to build a strong network of empowered women and is excited to experience all Cincinnati has to offer! Amy is a writer, yoga teacher, new mom, and founder of BiblioVentures, a series of reading retreats throughout the Midwest. 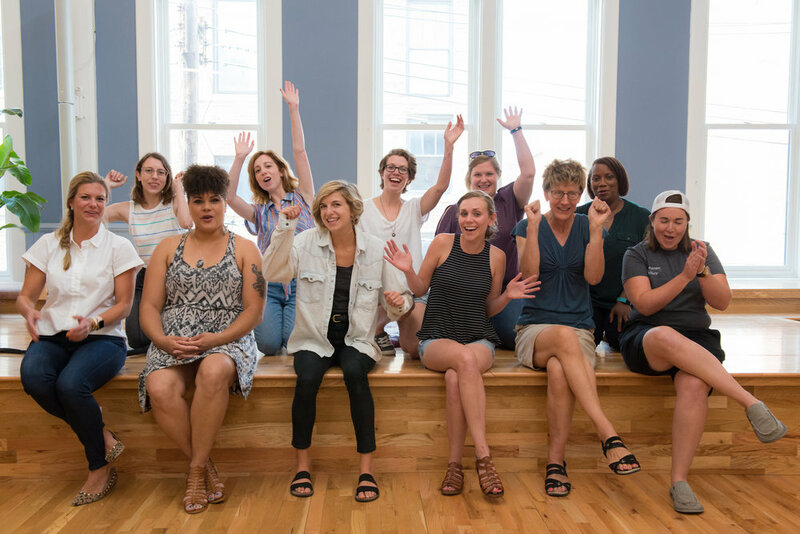 She has been actively creating experiences for readers and seekers since 2007 and is thrilled to share the stories of amazing Cincinnati women with you. Chelsea is a writer by passion and trade. She fell in love with words and the creative language-puzzle that is writing at the ripe old age of six. She currently works a freelance writer, as well as in marketing and brand management. Chelsea loves to travel, cook (and eat! ), dabble in photography, adventure with her friends and her pup, and is an avid consumer of all things media. Tara is a marketing and communications professional and has lived in the Cincinnati area her whole life. She currently works as the chief of staff for Cincinnati City Councilwoman Tamaya Dennard, where she has the pleasure of working with all 52 neighborhoods. In her off time, Tara enjoys working on other creative projects, painting, gardening, reading, and writing poetry. Michaela is a ravenous reader, never met a dog she didn’t like, and uses her talents as a writer and researcher for social change whenever she can. Her specialties include: transforming complicated topics into highly readable content that motivates, moves, and entertains; and digging into data to deliver useable insights. Michaela lives on the Westside with her three kids, three dogs, guinea pig, lizard, and tortoise. 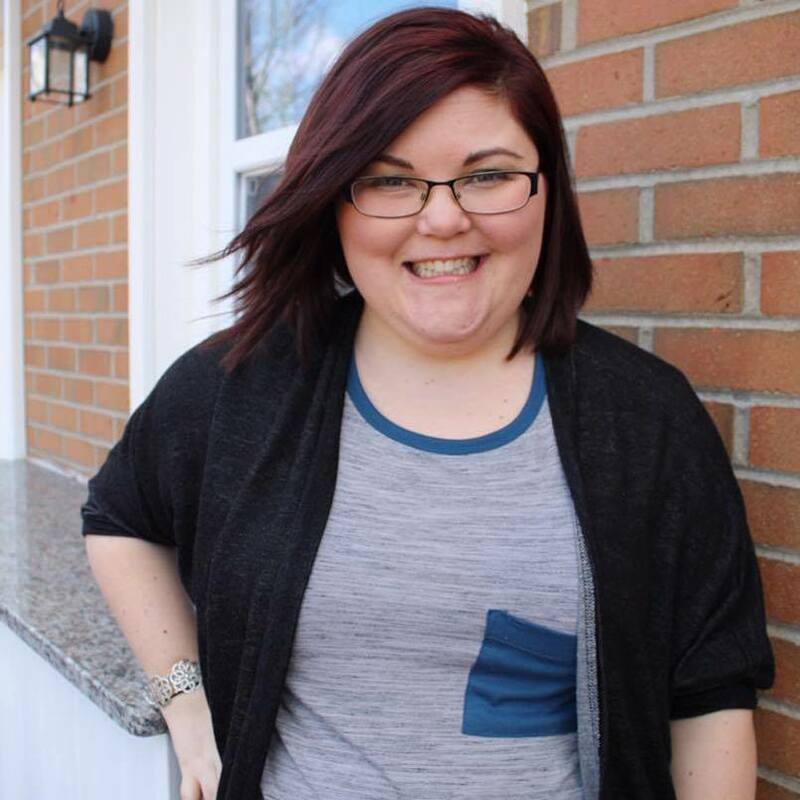 Rikkie is a Cincinnati native with a passion for women-run small businesses. Between working on her B.B.A. at U.C. 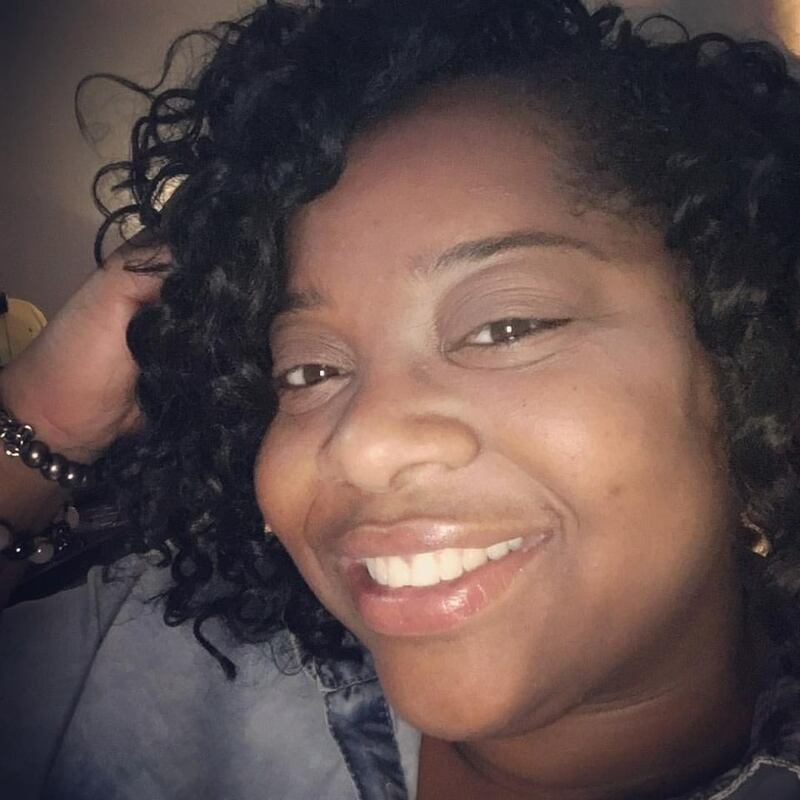 in entrepreneurship and working currently as an office manager at a local minority-run small business, she enjoys helping curate interesting and unique events for the community that she calls home. 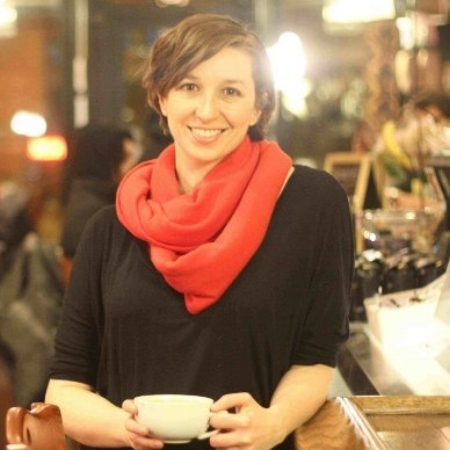 Katie is a Cincinnati-based content creator and breakfast food connoisseur. Working at the Educational Theatre Association, she pursues her passion to provide arts education to children across the country and beyond. Off-the-clock you can find her attached to a camera or a cup of coffee with a permanent smile on her face. 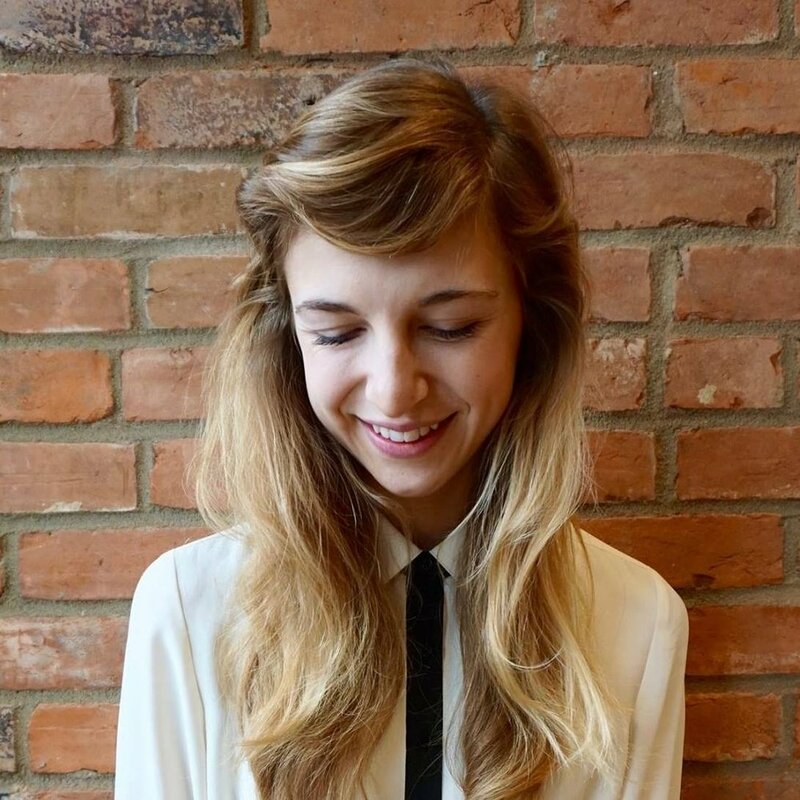 Hannah is a freelance content creator, music lover, and compulsive mover. Although she doesn’t stay in one place for long, she always seems makes her way back to Ohio. She finds inspiration in grounding yoga flows, painting with watercolors, and discovering small shops and local makers. You can probably find her at a local cafe, as she’s currently on a mission to find the best espresso in town.